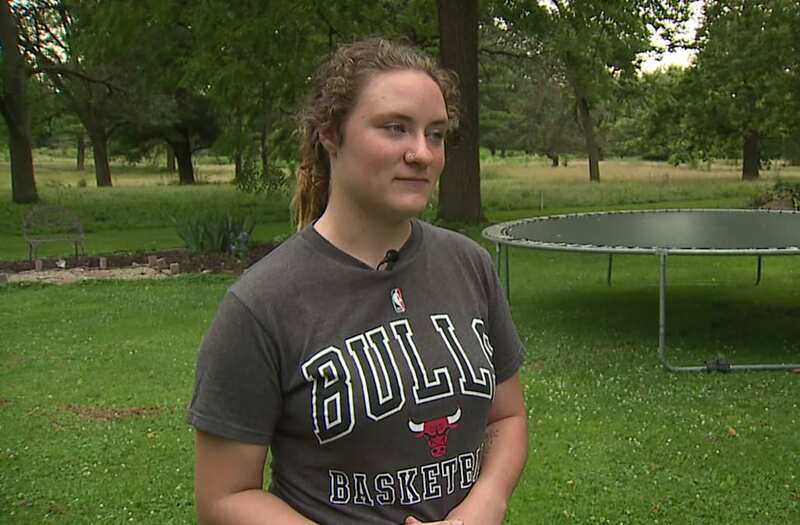 MORRISON, Illinois (WQAD) - The one place 18-year-old Kaylene Schroeder can find some comfort is in her mom's garden. "This is where she spent most of her time. She enjoyed being outdoors a lot," said Kaylene. In the corner sits the lilac bush she bought her mom for Mother's Day. "She didn`t deserve this. She was the kindest person," said Kaylene. An Illinois teen says her sister and mom had a rocky relationship but she never thought it would escalate to violence. Her 15-year-old sister is accused of killing her mother and trying to hide the body by setting the house on fire. Kaylene says the garden and her memories are all that she had left of her mother Peggy. "It breaks my heart to just even talk about it because I just can`t imagine life without my mom. Now she`s gone, and it's because of my own blood and flesh," said Kaylene. Kaylene's 15-year-old sister Anna, is charged with killing their mother and trying to hide the body by setting the house on fire. Police say Anna texted her girlfriend, 15-year-old Rachel Helm a picture of the body before Helm came to the house to help clean up. "I always imagined her at my wedding or meeting her grandchildren for the first time. I got that chance taken away from me," said Kaylene. Kaylene says despite her sister and mom's rocky relationship, she never thought her sister would do something like this, "She`s never been known to be violent or just burst into moods like this. I don`t know what was going through her mind." Kaylene says Peggy took them in by legally adopting both sisters. "She gave us a second chance at life," said Kayleen. Kayleen is dealing with the loss of not only a mother but her sister as well, "She just threw away her life and my mom's." Kaylene plans on going to school to be a sign language interpreter as a way to remember her mom, who was hearing impaired. Schroeder and Helm have a pretrial set for August 8.